The new Asus zenphone 5z is set to launch in many countries soon. It comes with a notch similar to that of the iPhone X but even smaller and comes at a midrange smartphone price. 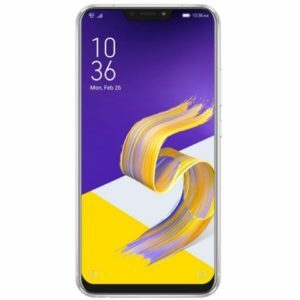 If you like midrange flagship android smartphones such as the Oneplus 6 you would also like this phone. For Taking screenshot on your Asus Zenphone 5z follow any of the two methods available. Step 1 : Navigate to the app screen you wanted to take a screenshot of on your zenphone 5z. Step 2 : Then when you are ready Press and hold the Power button and Volume Down button for a second until you see a notification that a screenshot is taken. Google Assistant is available on the Zenphone smartphones. Using it to take a screenshot is one of the easy ways. Step 1: Once you are ready to take a screenshot say the “Ok Google” Voice command or Click and hold the home button option . Step 2: The google assistant will show up on your screen. Say ” Take screenshot ” or give a text input for the same. Step 3 : The screenshot will be taken by the assistant and will be saved on the screenshot gallery in your photos app. Zenphone 5z 2018 is being launched by Asus in many countries and the latest release to be in july 4th in india. It has a 6.2 inches screen along with an iphone X like notch at the top which makes it an impressive 83.6% screen-to-body ratio smartphone just like the Asus zenphone 5. It will be launched this month on April. It comes with Android Oreo Operation system and a Dual 12 MP and 8 MP Camera option along with a 3300 mAh battery which can make it last through out a day. The phone is going against midrange flagships such as the Oneplus 6.